The government agency that oversees border patrol has postponed an Election Day "crowd control exercise" today in El Paso, Texas, near a Hispanic neighborhood with about 100 residents. 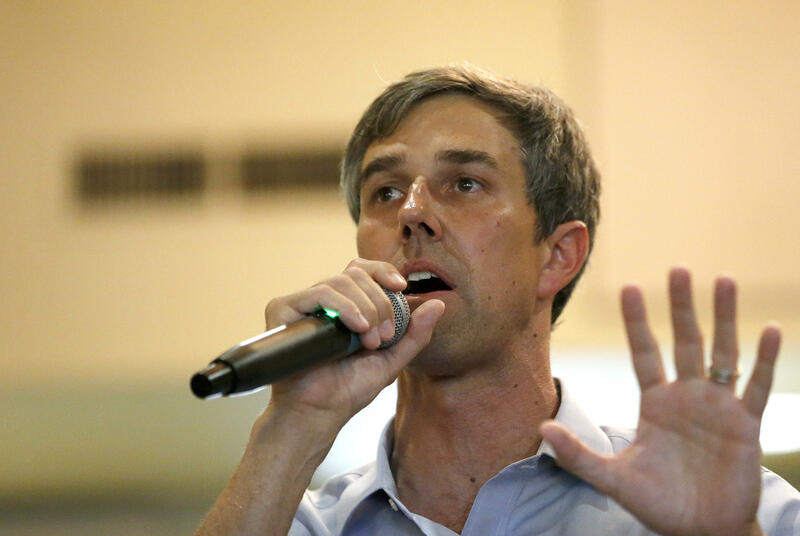 The exercise was to have taken place in the hometown of Beto O'Rourke, the Democratic Senate candidate who's running a tight race against Republican Sen. Ted Cruz. The Customs and Border Protection agency had scheduled the exercises at 10 a.m. Mountain Time. Shortly before they were about to start, officers on the scene said they were postponed. The exercise, in El Paso's oldest neighborhood, was being called a "mobile field force demonstration." Media were invited to attend the event. The neighborhood is near an area where officials recently began constructing part of President Trump's border wall. A week ago, the agency blocked the El Paso del Norte International Bridge in downtown El Paso to train for the arrival of the migrant caravan from Central America. A CBP spokesman said today's activities are "operational readiness exercises" related to preparing for the caravan, which is still hundreds of miles south of the border. "We will be reinforcing staffing, well in advance, to ensure that we can address any contingency," the spokesman said. "Please know this: we will ensure border security." Tyler Houlton, Department of Homeland Security press secretary, said it was "flat-out wrong" to suggest the planned exercises had any connection to today's voting. "DHS has worked tirelessly to ensure the security of our election systems and will always secure our borders regardless of what day it might be," he said. But Terri Burke, the executive director of the ACLU of Texas, denounced the plan as an "election-day stunt," calling the timing and location "suspicious." "The Trump administration has "done quite enough to intimidate voters without staging military rehearsals on the day our nation exercises our most important democratic obligation," Burke said. O'Rourke, asked about the exercise at a campaign stop last night, said that "no walls, no exercises" will "keep us from honoring our laws, our commitments. Why this is happening now, why the president is stirring these issues up at this moment with 24 hours before we decide this election, I'll leave that to you to conclude,'' he said. Watch special election coverage live on CBSN on fuboTV. Start a free trial.